Floyd Light is a small courtyard community located in the Cherry Blossom neighborhood in SE Portland with 51 units of housing. The property is located close to Tri-Met bus lines and MAX. Close by are multiple venues like Mall 205 for entertainment, shopping, restaurants, and Floyd Light Park. Next door to East Portland Community Center and Aquatic Park. 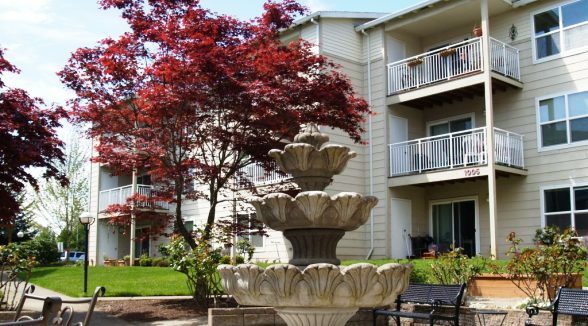 Each unit boasts a washer and dryer and balcony or patio. Breathe easy. Smoking is not allowed in any REACH property. Bike access via the Stark St. bike lane.